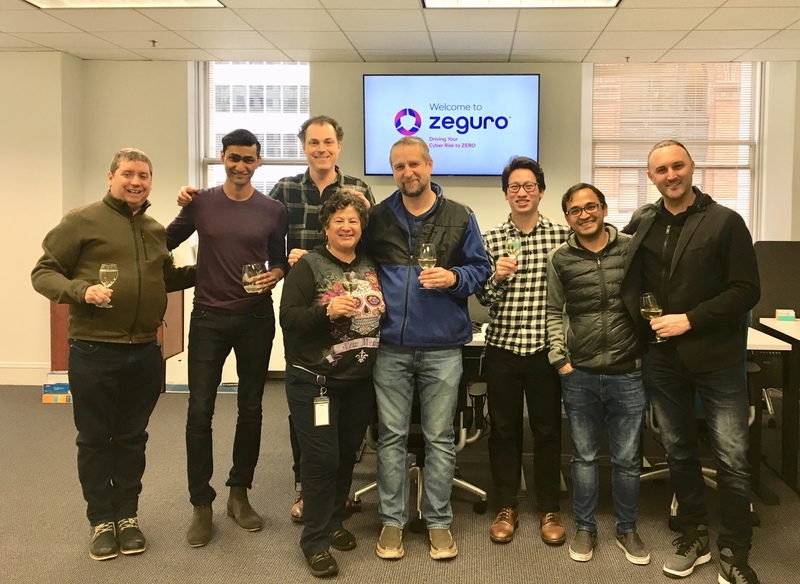 San Francisco, CA -- Zeguro (https://www.zeguro.com), an end-to-end cyber safety platform and insurance provider for small to mid-sized enterprises (SMEs), today announced an expanded team, larger office and the honor of membership within the Oxbow Partners’ 2019 InsurTech Impact 25. After closing a strategic seed funding round, Zeguro is starting 2019 with an end-to-end cyber insurance offering, a world class executive team, and a cyber safety eBook to share critical knowledge for SMEs. Heidi Elgaard and Dan Gordon join Zeguro’s executive team as VP of Marketing/Growth and Advisor, respectively. As former Vice President of Marketing at Scandit, Elgaard oversaw both U.S. market and global growth and helped its mobile data capture platform capture the attention of leading enterprises including Sephora, Louis Vuitton, DHL, and Levi Strauss & Co. Elgaard is also a mentor with GSV Labs and a startup advisor. Dan Gordon is a veteran enterprise software product executive, having led the product management organization at Guidewire Software, a leading software provider to the Property and Casualty Insurance industry. Under Gordon, Guidewire grew from $2M to $350M in revenue across 17 countries. These key hires will provide exceptional value and expertise applied directly to Zeguro’s best-in-class platform that will translate into value to the end user. Insurtech in 2019 is at a watershed moment. As business models, pricing, and analytics mature, SMEs benefit. Zeguro combines world class insurer backing with the most powerful and easy to use technology tools available. Founded in 2016, Zeguro is an end-to-end cyber safety platform and insurance provider for small to mid-sized businesses (SMEs) offering a comprehensive suite of tools for risk mitigation and compliance, as well as insurance premiums that are tailored to the size, sector and profile of a company. With $5M in funding from Mosaik Partners, Healthy Ventures, Munich Re/HSB Ventures, QBE Ventures, Social Capital, Plug and Play and Sparkland Capital, Zeguro recently announced the availability of its cyber insurance offering and expanded its full cyber safety platform past BETA with input from their small and mid-sized customers. The company plans to launch its end-to-end offering to empower every organization to withstand the digital unknown in the coming months. Zeguro is an end-to-end cyber safety platform and insurance provider for small to mid-sized businesses (SMEs) offering a comprehensive suite of tools for risk mitigation and compliance, as well as insurance premiums that are tailored to the size, sector and profile of a company. Zeguro continuously protects your SME, and provides custom-tailored insurance that evolves with the health and security posture of your company.